Portuguese village , also known as Mini Lisbon . It is located 5 km from the city of Malacca , which at Ujong Pasir , Malacca . The village has about 1,500 people, comprising 116 families, which the Portuguese and began to gain a foothold in Malacca in 1930 . The village covers an area of ​​13 acres with 8 acres of settlements and the rest of the school was founded , golf and a children's playground . It is a village that is unique about the lives of the Portuguese in the 16th century and they still practice the language , culture , song and dance Portuguese until today . The city is the gateway fortress A'Famosa in Malacca. This gate is a relic of Portuguese and a fort that was established at a time.The fortress walls long ago and has four main towers. One of them is the main four-storey tower, while the other is a storage room of weapons, residence of the captain and officers' quarters. The fort changed hands in 1641 when the Dutch managed to expel the Portuguese from Malacca. They have modified the gate in 1670 which ANNO 1670 can be seen at the gate. The fortress suffered severe structural damage during the Dutch invasion. When it changed hands to the British, they are very careful about sustainability and directs the bunker was destroyed. It was almost completely destroyed when Sir Stamford Raffles, who visited Malacca and intervene to save the gate from being destroyed because of his interest in history. Netherlands famous tomb is located in Bandar Hilir next to the replica of the Malacca Sultanate Palace . This tomb was used at the end of the 17th century and has 5 grave Dutch and 33 British graves in the area. The cemetery was used in two stages between 1670-1682 and 1818-1838 . Among the attractions is the grave of a grave with a high tower which is the tomb of two officers who died during the War of Naning . Fort St. John was built by the Dutch in 1760 to protect against attacks from the land . At that time, the Malays were restless already set up measures to try to attack Malacca . This is why Fort St. John has a distinctive feature of the cannon overlooking the interior. However , there are also several cannons overlooking the sea . The fort is located on the Mount Senjuang was the site of a small church dedicated to John the Baptist . At this time , the celebration of St. John the Baptist is celebrated by Catholics on June 23 with the lighting of thousands of candles in the homes of the city. There area unit unnumberable reasons to go to the countries in South East Asia however maybe a number of the largest area unit that they're principally either terribly developed or chop-chop developing countries, area unit all very hospitable to tourists, have stunning climates that you simply will relish all year spherical and area unit very cheap. Kuala Lumpur, Singapore, Manila These 3 cities area unit stupendously trendy and exquisite. Malaysia, Singapore and also the Philippines have developed terribly chop-chop because of investment from Asia and if you're keen on living in trendy surroundings then these 3 cities are wonderful reasons to go to South East Asia. Kuala Lumpur was engineered as a central hub for Asian trade and is crammed with stunning skyscrapers and a skyline that almost all cities within the world would be jealous of. Singapore accustomed be a British colony and Manila accustomed be a Spanish colony, however once gaining independence they unbroken the most effective of the previous colonial traditions transportation in their own native culture and chop-chop developed from there. Ironically, although you'll be able to get most of the services and quality you'd expect reception, you get onto for a fraction of the value you'd pay. Vietnam and Cambodia love tourists The welcome in these 2 countries is completely superb. They virtually love tourists and can do something to create them feel reception. In fact, to best see Vietnam and Cambodia you ought to participate during a package deal that permits you to stick with native folks during a new, property style of business known as "village tourism". folks have received government funding to line up tiny guesthouses and in their homes and can receive tourists from everywhere the planet, introducing them to their manner of life and welcome. this can be a particularly rewardable style of business and you'll be able to build a great deal of latest friends this manner you will that you're going to that you will be emailing for many years subsequently and perhaps even see presently if they visit you. South East Asia climate The climate in South East Asia is usually tropical and sub-tropical and might be divided into 2 seasons - wet and dry. in fact its higher to travel within the time of year if you want to be outdoors a great deal. In northern Cambodia and Vietnam there also area unit mountainous regions that are athletics paradises within the winter months. therefore augment your list of reasons to go to South East Asia the actual fact that you simply will do virtually any out of doors activity looking on the time of the year. Affordable quality Because South East Asia is basically created of chop-chop developing or developed nations, the buying power of your dollar or monetary unit goes an extended, long way. you'll be able to typically realize a bedchamber in Asian country for beneath $30 an evening. Food is pitifully low-cost and looks like you are obtaining rather more than you purchased. though you are making an attempt to take care together with your cash, you would be silly to not relish yourself and spoil yourself a touch a lot of as a result of it actually could be a fraction of what you'd expect to pay back reception. 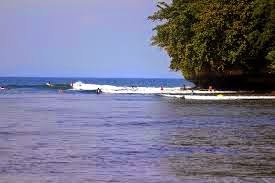 This attraction is a blend of attraction in Pangandaran and Batu Hiu , offers a natural atmosphere for your quiet and friendly ocean waves with sloping beaches make you feel at home living in this area . You can also enjoy a quiet atmosphere with a light breeze while enjoy your dishes in restaurants around . The view off the end of the horizon to give you peace and memories of a pleasant vacation . canu , camping , or surfing here . 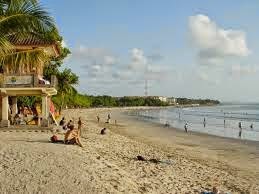 This beach has an area of ​​approximately 9 half of land and has the type of material in the form of fine sand with a natural off-white color .Cijayana beach is a beach that has a wide beach with a width of more than 200 m and a length of 2000 m , and pandanus bidur as the dominant flora in the edge of the beach . Stability is a good beach for small abrasion rate , and have a fairly good water conditions , such as the blue color of the water with the smell of normal water and normal temperatures . Cijayana Beach has an average wave height of 1 m, and the strength of the wind , and solar radiation was sufficient . condition of the landscape is still not exploited . This is because Cijayana beaches untouched by the wide range of tourist facilities , especially facilities . To enjoy the scenery in this Cijayana beach , visibility is very free and has a low noise level . This beach has a small lake at the edge of the beach location , and activities that can be done is to enjoy the scenery , photography , fishing , picnicking , sunbathing , walking , and playing on the beach . The pattern of land ownership is Cijayana coastal village land devoted to agriculture , tourism places allocation , and still form the majority of vacant land that has not been maintained . Roosted in the rises disregarding the Bay of Lampung , Bandar Lampung is the capital of the area of Lampung once the biggest city in the southern territory of Sumatra Island . Bandar Lampung a center and portal to Sumatra from Java . As the fourth biggest island of Sumatra, Lampung city assumes an essential part in the advancement and financial exercises on the island of Sumatra. Spotted something like 165 km northwest of Jakarta , Lampung City is the beginning stage before making a trek to Way Kambas National Park , Bukit Barisan Selatan National Park , the remainders of the emission of Mount Krakatoa , and different attractions that are found in the area of Lampung . Call this entryway Sumatra is not unreasonable . Bandar Lampung vital position as close to the Port Bakauheni and Intenasional Raden Inten II Airport in southern Lampung , this makes this city an essential issue that competitive either by boat or plane . 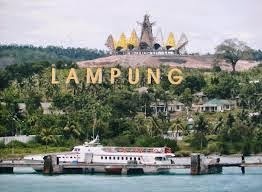 From the south , Bandar Lampung is the first enormous city arranged out and about antarprovinsi called Trans Sumatra. This street around the northern and western Sumatra, coating an aggregate separation of around 2,200 km . Overland voyage through this way offers its delights and experience , in light of the fact that you will discover a portion of the best view and amazing. Belfast is a city that is an aftereffect of the merger of two of the territory is, of Cape Coral which is a mountainous range and Sewer Bay on the Gulf bank of Lampung . In 1990 , two of these together with the locale made ​​the city a brought together length . History records throughout the emission of Mount Krakatau antiquated ghastly 1883, Bay City Sewer lantah crunch . The emission of Mount Krakatau 's add up to 36,000 losses , almost 50% of whom are natives of the Gulf Sewer . To recall this horrible ejection , a landmark was implicit the type of manure guides Bay Harbor Sewer Tsunami waves slamming because of the emission of Mount Krakatoa . The landmark is spotted on Jalan Veteran , indicates how the quality of the ejection of Mount Krakatau has crushed the antiquated weighing a large portion of a huge amount of compost might be smashed off the coast . As a vacationer objective , Bandar Lampung numerous offer great goal , the wonder of nature , social legacy, through a mixed bag of recreational exercises. In Lampung Bay , 20 km south of the downtown area , guests can appreciate a calm shore of delicate white sand at White Sand Beach . Still in the Bay Area Sewer , Earth Kedaton National Park offers natural air with semilirnya wind and the relieving sound of the stream . You 're on an excursion in Malaysia ? Kuala Lumpur is most likely in the passage place into your objective for holidaymakers . 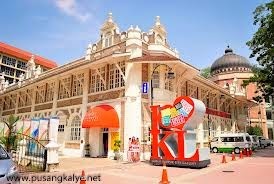 Assuming that you need a superior understanding of Kuala Lumpur , ideally going to Kuala Lumpur City Gallery which is a small display center holding intriguing history of Kuala Lumpur . Of course , including a charming excursion vision , particularly assuming that you call and baby treasury learning to add to the incredible urban communities of Asia . As the name recommends , Kuala Lumpur City Gallery is a smaller than expected storehouse that is committed to the stories and history of Kuala Lumpur . Inside you will discover nbanyak Last of notable items connected with the advancement of Kuala Lumpur to turn into one of the top and most compelling city in Asia . In late Kuala Lumpur into a business and style center point that numbers after Singapore . Kuala Lumpur City Gallery was inherent 1899 when the storehouse building is the seat of government printing Britain is positioned Malaysia . Then again regularly alluded to Britain Malaya. After Malaysia's autonomy and additionally as an elected domain of Kuala Lumpur , the incorporating was turned with a parasite work division . After that the building keeps on changing the capacity into the post office , and later got to be City Hall in 1986 and three years subsequently transformed go into an open library work and get by as of recently the Kuala Lumpur City Gallery, the library is kept up. In Kuala Lumpur City Gallery you will discover various travel stories heavy Kuala Lumpur to the Malaysian autonomy to the improvement of Kuala Lumpur as the managerial town of the nation. As of not long ago the present day city of Kuala Lumpur , you can even now delight in the beat first representation Kuala Lumpur through a gathering of daily papers, bits of the picture logbook days of old , to, the photographs were gathered by a few photographic artists Malaysia past.